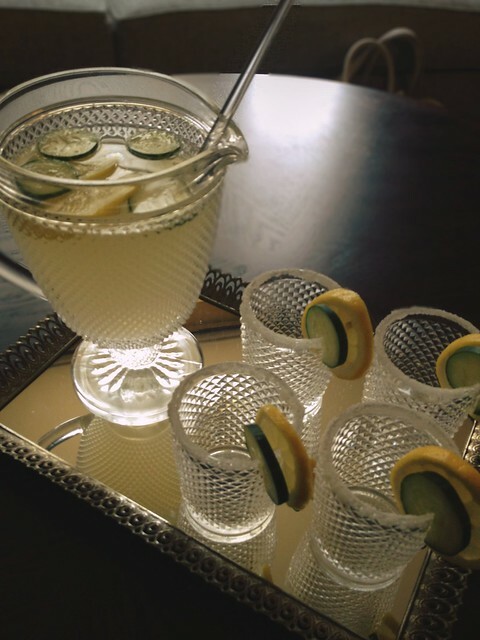 My love of cucumber vodka is no secret. Heck, I practically planned a whole party around it last summer just to coax people into coming up with new uses for it. This one is inspired by a Pimms Cup, which is one of my husband's summertime favorites. 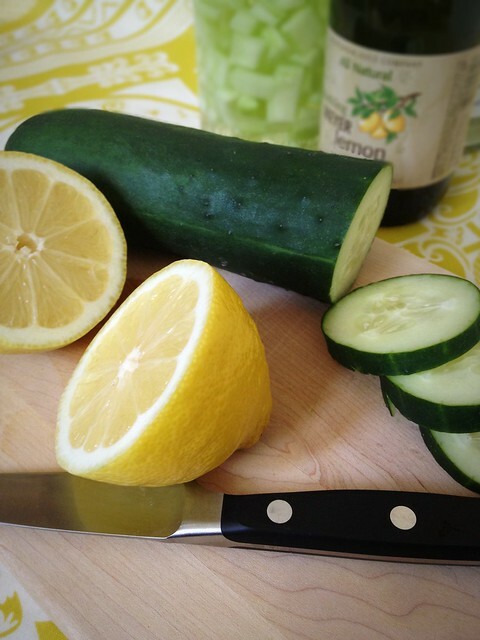 This cucumber-lemon cooler is light, super mild, not too sweet, and not too sour. Stir together ingredients over ice. 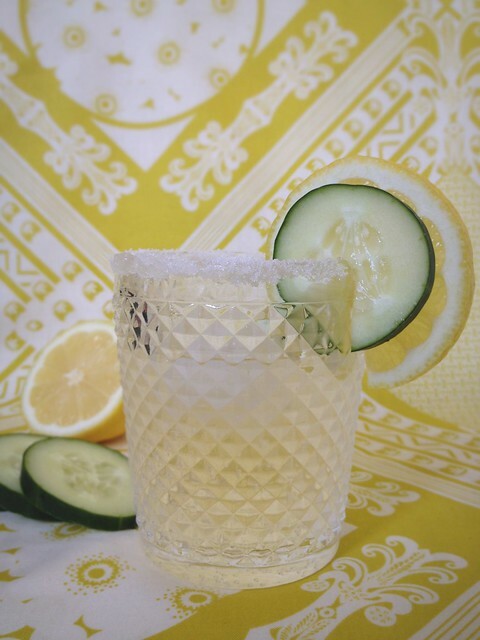 Garnish with a sugar rim and slices of lemon and cucumber. Because this drink is so mild and drinkable, it's perfect for mixing up a whole pitcher, which I did just a few weekends ago for a crafternoon with some lady friends. 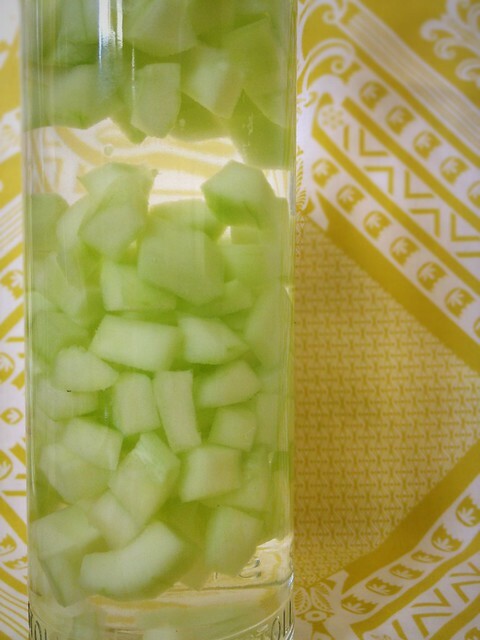 Cucumber-Infused Vodka: Infusing vodka with cucumber is super easy. A liter of vodka requires about 2 cucumbers. Peel, de-seed, and chop the cucumbers. Allow to infuse in the vodka for about 5 days. 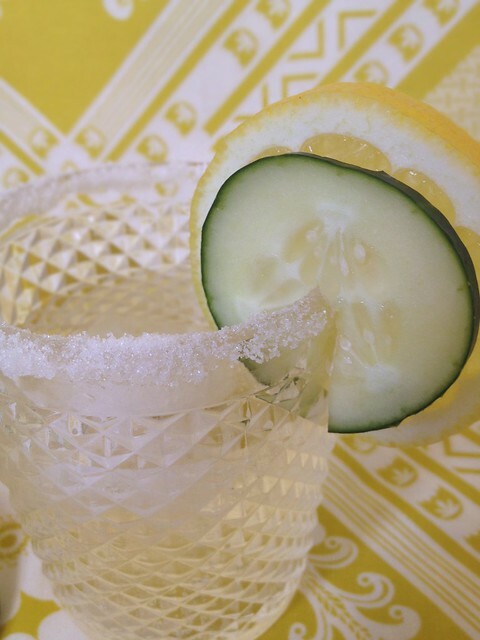 Sparkling Lemon Soda: Italian lemon soda will work just fine. Although, I used a delightful sparkling meyer lemon soda that I found at World Market that has a nice little sour kick to it. This sounds so good! 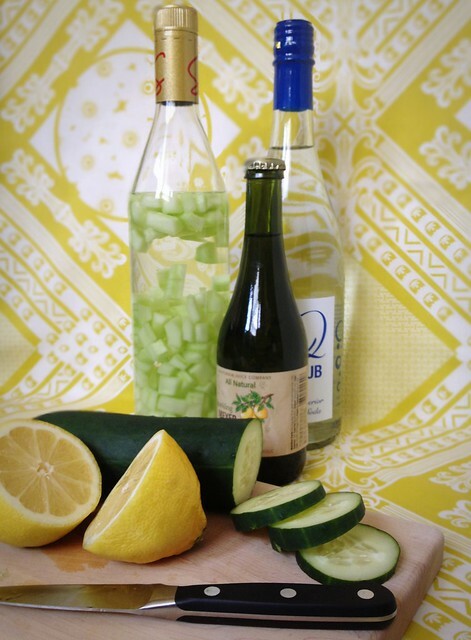 I've never had cucumber vodka, but I'm willing to try anything to discover a refreshing summer stand-by! Ok, I'm dumb. Do you let it infuse at room temperature? Doesn't really matter! But it should be cool and dark. I put mine in the fridge. Makes sense. I keep our vodka (double chocolate is what we have right now) in the freezer, but I assumed maybe that wouldn't work because the cucumbers and lemons would freeze and get everything all funky. Any particular vodka brand you use?